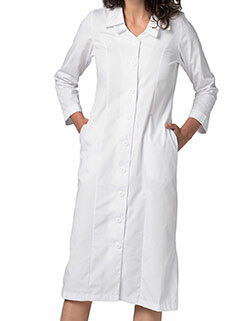 Save more with this clearance solid nursing dress in White from Barco Scrubs. 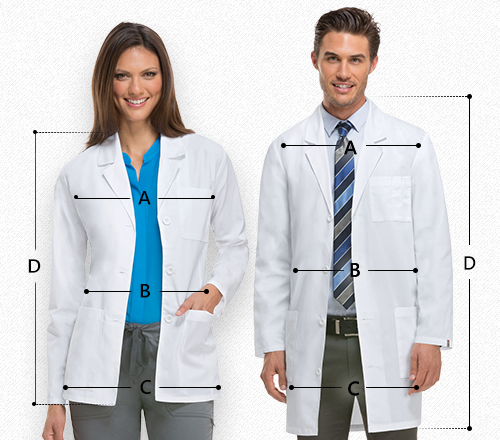 It has a notched lapel collar, 3/4 length sleeves and two large pockets. The pockets provided are for storage of handy tools and other belongings. The front is in a double-breasted style with six pairs of buttons for closure. A star embroidery is on the lapel collar for a unique look. It's with a button-gather in back and three pleats in front for shaping. 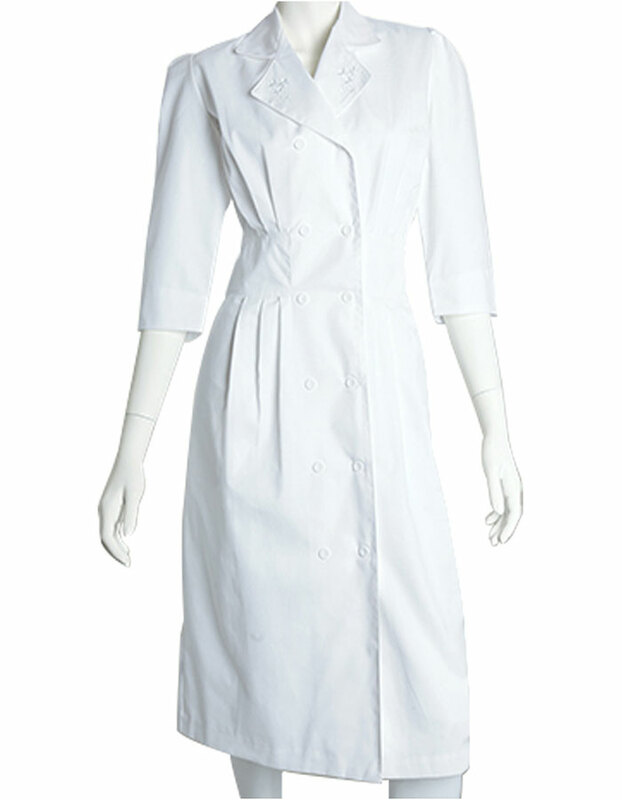 The material used for this is of polyester and cotton combination.